The braking distance of a train can go up to 1200 meters. We handle you some piece of advice for your safety. Be sure that the necessary space for your car is available on the other side of the level crossing. Drive through the barriers of the railway crossing when trapped in between the latter (breaking points have been set for that purpose). 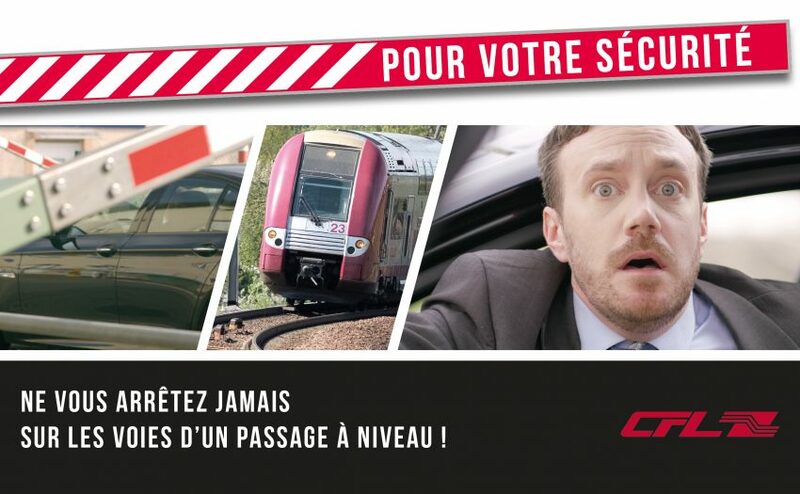 Initiate driving over a railway crossing without being sure to be able to cross the latter at once. Not paying attention to the visual and acoustic signals of a railway crossing. Use the underground path to get to your desired platform. Cross the tracks and risk your life. Don’t let your belongings fall inside the track area by staying behind the white line on the platforms. Ask the CFL staff for help. Enter the track area and risk your life.